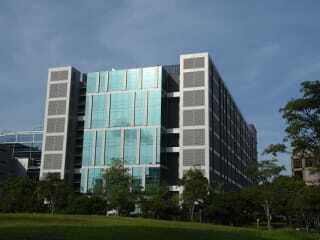 Cyxtera SIN2 Singapore Data Center is located at 29A International Business Park Road. The data center is 55258 sqft. There is a total of 55258 sqft in raised floor space for colocation. No power information has been offered for this location. We found 40 data center locations within 50 miles of this facility. Certifications for this location include HITECH, PCI-DSS, SOC 2 Type 2, ISO 27001, SOC 2, SSAE-16 Type 2. Two of the over 60 Cyxtera data centers are located in Singapore. Through two Singapore data centers, data moves securely among the most active finance and trade centers in Asia and Europe. The Singapore data centers support ultra-low latency colocation and proximity hosting, with one-way connectivity to the Singapore Exchange and rapid cross connects with Tokyo, Hong Kong, and Docklands, UK financial markets. Together, the Singapore colocation facilities provide more than 50,000 sq/ft of premier data center space built to handle stringent enterprise network needs and financial grade multi-tier security requirements. Companies have access to a full suite of colocation-to-cloud and hosting services, and are supported by a dedicated Financial Services team. And as a network and hosting provider, Cyxtera offers total reliability supported by 100% power uptime and 99.99% internet connectivity availability SLAs.